When Talking Heads founder David Byrne penned the lyric "same as it ever was," he could have been writing about Gulf Greyhound Park general manager Sally Briggs. "Grey2K USA activsts have created a distorted picture of greyhound racing at Gulf Greyhound Park, as well as other tracks around the country. This is intentional." This is a nice talking point, but it doesn't address any facts. This kind of generic denial does little more than make greyhound breeders feel better. "These activists have a radical agenda that has far more to do with politics and fundraising than with animal welfare." Similarly, this personal attack doesn't address any facts. I do agree that this debate is about values, although I suspect that most Americans view animal protection groups like the ASPCA as mainstream, while they view the greyhound racing industry as out of touch. "The Grey2K report on greyhound injuries was a collection of statistics that are easy to misrepresent if that's the intention. For example, the report failed to explain that between 2009 and 2012, injuries occurred in fewer than one-tenth of one percent of all racing starts." On this point, Briggs is partly correct. It is certainly true that injury statistics are "easy to misrepresent if that's the intention." In fact, her next sentence is a great example of misrepresenting the data. Her claim that "injuries occurred in fewer than one-tenth of one percent of all racing starts" is intended to give readers the impression that the risk of injury is lower than it actually is. That is why she used "racing starts" as a metric. By comparing the total number of injuries to the number of "starts" rather than the number of dogs, she is able to count the same dogs over and over again dozens of times and pretend like they are all different dogs. 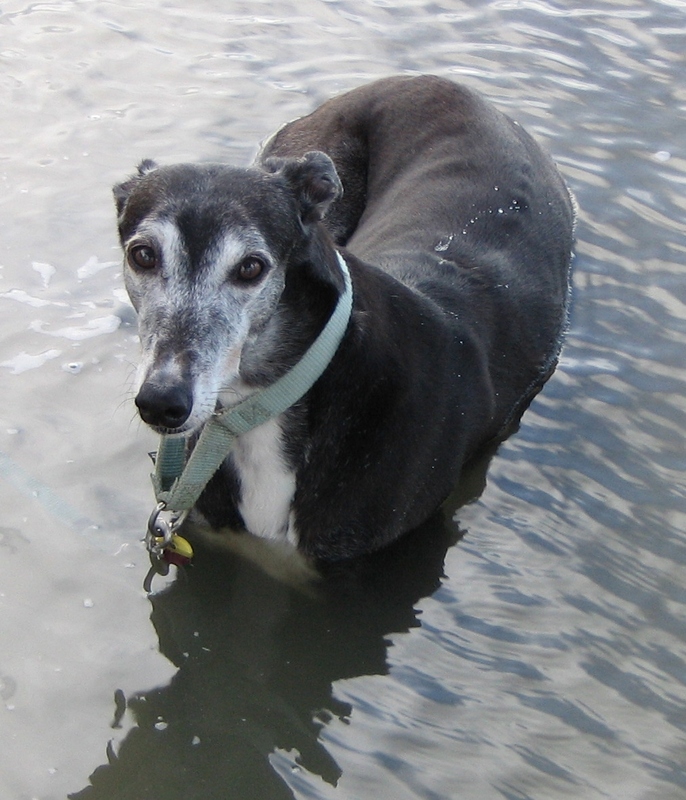 "The vast majority were minor, permitting the greyhounds to return to racing after treatment." This is nonsense. According to state records, a majority (54%) of all reported greyhound injuries between 2008 and 2011 involved either puncture wounds, lacerations, torn muscles, torn ligaments or broken bones. In fact, the most commonly reported injury was a broken leg. "On rare occasions, the most serious injuries require that a greyhound be euthanized." According to state records, 56 greyhounds died or were euthanized due to injuries suffered at Gulf Greyhound Park between 2008 and 2011. "Contrary to ridiculous animal rights claims, there is no benefit to be gained from failing in our obligation to provide humane care and treatment. 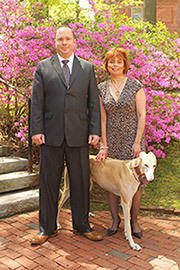 That's because racing greyhounds must be well cared for to perform at their best." "Industry regulations require that greyhounds be housed in comfortable crates large enough to permit them to stand, sit, lie down and turn around comfortably." This sounds nice, but it doesn't actually dispute any of the data in our report regarding confinement. Thankfully, we have facts that we can assess to determine whether Briggs is correct or not. 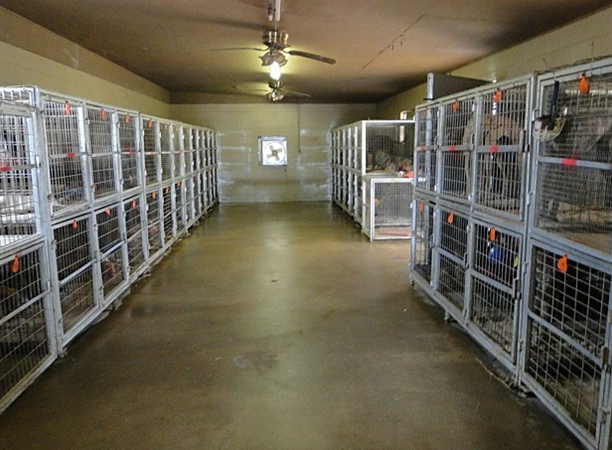 According to Texas regulations, dog track cages must be three feet wide, four feet deep, and three feet high. This cage size is standard throughout the industry. According to the American Greyhound Council, a front group for greyhound breeders, most greyhounds stand between 23 inches and 30 inches tall at the shoulder, and weigh between 50 and 85 pounds. Using these dimensions provided by the industry itself, it's clear that large greyhounds cannot stand fully erect in the cages used at Gulf Greyhound Park. "Greyhounds must be turned out for exercise four to five times daily to ensure that they remain in top condition." Our report clearly states that greyhounds are given several daily turnouts. However, these are hardly "exercise" sessions. In reality, dozens of greyhounds are "turned out" as a group in a small turnout pen and allowed to relieve themselves. "When they're not racing or exercising, they prefer to rest"
"The meat they consume is the same found in most commercial pet foods"
This is true. However, pet food companies cook raw 4-D meat to remove dangerous pathogens. Greyhounds are fed raw 4-D meat from downed animals that have been deemed unfit for human consumption. This statement by Briggs also illustrates another tactic that dog race promoters use. Rather than deny that they use a substandard method, they will instead argue that other industries also use this bad standard practice. Of course, this is irrelevant. "If this product weren't healthy and nutritious for greyhounds, it would be impossible for these canine athletes to perform as they do." First of all, whether the use of 4-D meat leads to problems is a matter of fact that is easily resolved. According to the U.S. Food and Drug Administration, raw 4-D meat "may present a potential health hazard to the animals that consume it and to the people who handle it.” Further, the industry handbook Care of the Racing and Retired Greyhound states that the use of 4-D meat can cause dogs to be exposed to pathogenic microorganisms, and also lead to false drug positives. So you can decide who to believe on this issue: Sally Briggs, or the Food and Drug Administration and the industry's own handbook. "Grey2K and other animal rights groups benefit financially when the public is deceived about greyhound racing. Good animal care doesn't generate donations. That's why these organizations distort the facts." Generically claim, without addressing any specific facts, that animal protection groups are lying about the greyhound racing industry. When they are forced to address facts, they spin them by using terms like "comfortable crates" to make things sound better then they really are. Personally attack anyone who speaks up for the greyhounds. In the end, this strategy will not work. The public can see right through their smoke and mirrors, and are already siding with the dogs. A pathetic attempt to cover up what is happening to the grey's. I don't support anything Sally Briggs lies about! Perhaps this Sally would like to be confined to a crate and fed raw 4-D meat as her meals, only being let out 3-4 times a day to go the bathroom. An idiot is what she made herself sound like. And people like her are why I foster greys until they are in their forever homes, so they aren't euthanized after injury or retirement. Seriously these parks all need to be shut down. Please continue in animal welfare. Greyounds are the best family dogs! 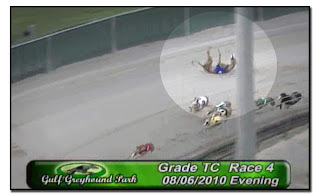 Commercial dog racing should be banned.